Since this is a food AND travel blog, and so far I’ve only blogged about food, I thought I’d give travel a try! Traveling is without a doubt my favorite thing in the world. I love the feeling of experiencing new cultures and sites, meeting people from all over the world, and seeing things I’ve read about or seen on TV come to life. One of my favorite cities to visit is Paris, France. There’s no other place in the world like it! I spent Fall semester of my junior year of college studying abroad in Nantes, France and I’ll never forget the feeling I had when I took my first weekend trip to Paris. I stepped out of the train station accompanied by my new study abroad friends, and had butterflies in my stomach. I just could not stop smiling the entire weekend – this sounds cliché, but it was magical! Paris was everything I had hoped it would be, and more. Though we were only there for a weekend, we managed to see many of the sites and had a wonderful experience that I will never forget. 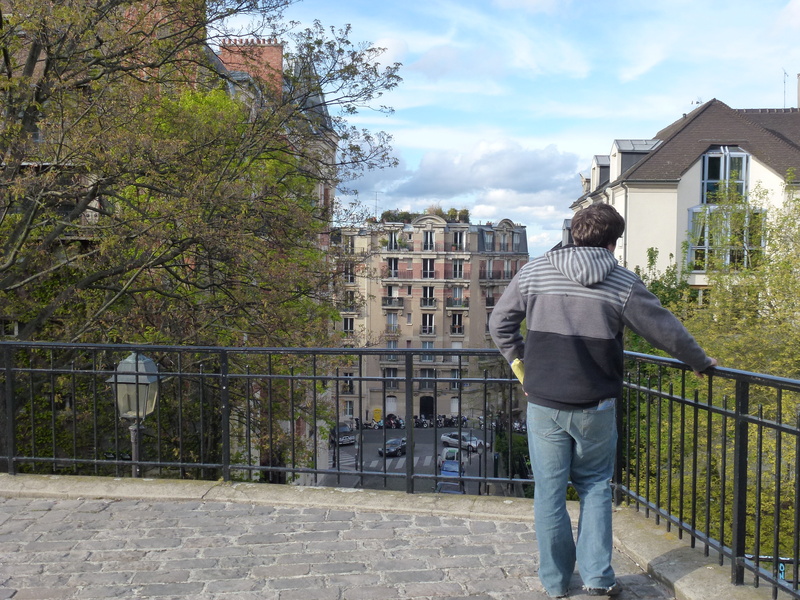 Since that first incredible weekend, I have been to Paris 6 more times – all on weekend trips. Though Nantes will always be my TRUE French love, I have had some unforgettable experiences in Paris. 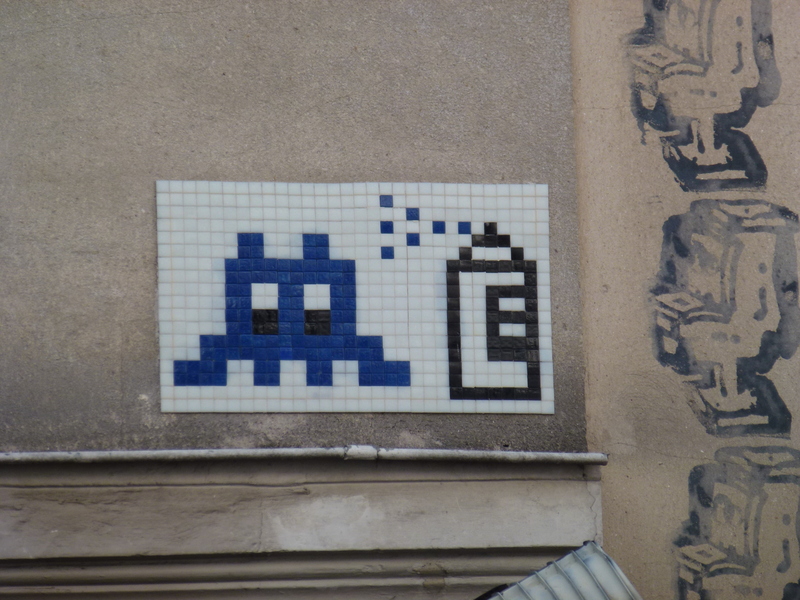 From my various trips to the City of Lights, here are some of my favorite spots to visit. I would suggest these to any visitor, no matter what length the stay. Hopefully this will be of use to anyone planning a trip to Paris in the future! The Eiffel Tower – of course, no trip to Paris is complete without seeing this architectural masterpiece (which Parisians originally hated, fyi!). Unfortunately, the line is always ungodly long to visit the top. My suggestions: buy your tickets online ahead of time, get there as soon as it opens, and take the stairs up to the 2nd floor and elevator to the top from there – the line will be shorter and it’s cheaper! Also, evening is a great time to stroll past the Eiffel Tower. It looks incredible lit up, and every hour on the hour it sparkles for 5 minutes. It’s gorgeous! 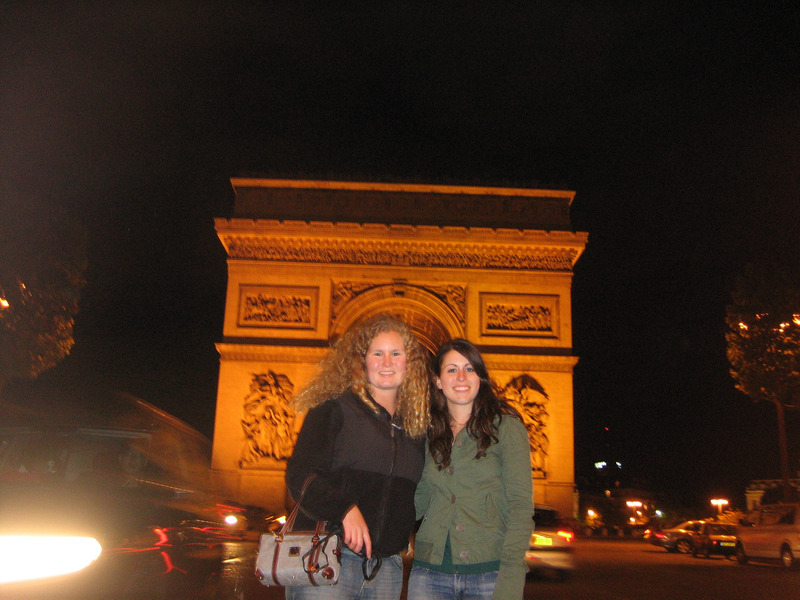 Arc de Triomphe – another tourist staple. There’s a great view of the city from the top, just be careful crossing the street. Jardin des Tuileries – The park in between the Louvre and Place de la Concorde. It’s a beautiful park and a nice place for a picnic or a rest from all the site-seeing. 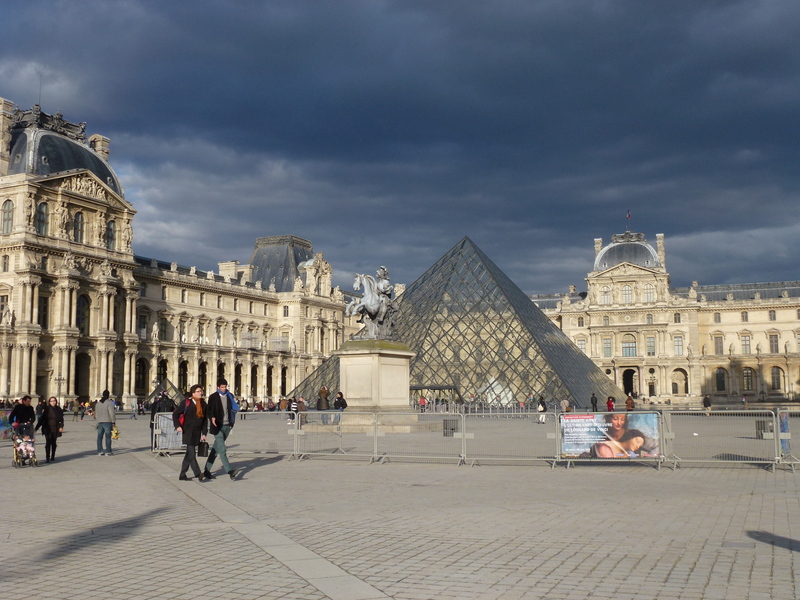 The Louvre – unless you have a lot of time to spend here, I don’t recommend going inside. There’s so much to see that if you are just in Paris for a couple days, you may want to wait until you come back for a longer trip. However, the glass pyramids and fountains on the outside are definitely worth a look. Notre Dame Cathedral – incredible! The architecture is amazing and it’s free to go inside and look around. 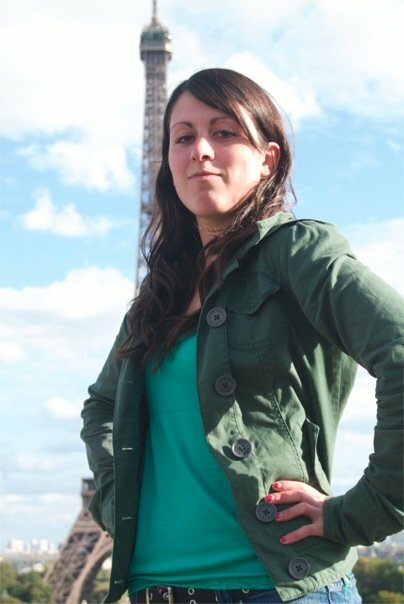 I also recommend paying to climb to the top – it’s, in my opinion, the best view of Paris since you can see the Eiffel Tower from the top and also there are lots of cool gargoyles. Not to mention Esmeralda’s Bell. The catacombs – My favorite! 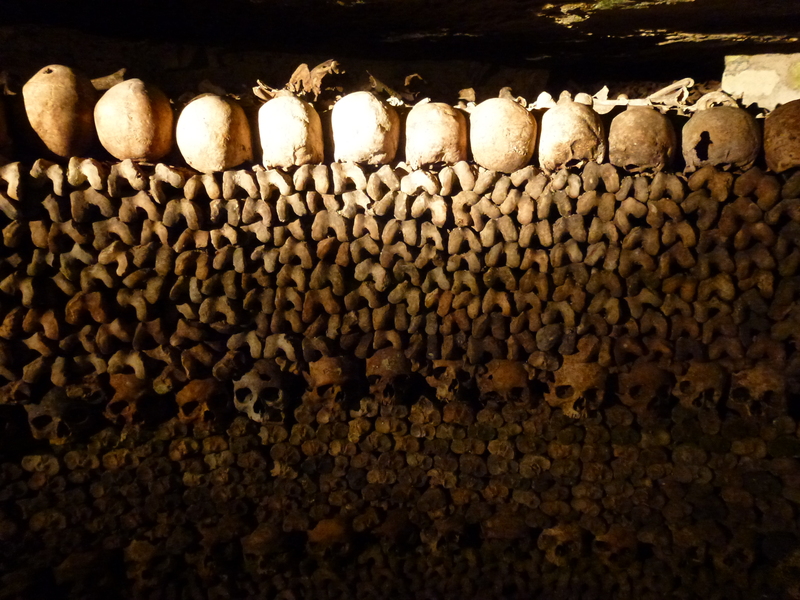 There is an entire city beneath Paris: a city of the dead. There are around 6 million people buried in this system of underground tunnels, and it is not to miss. There’s so much history down there and it’s so interesting! Not to mention creepy (and awesome). Get here early as the line is a pain. 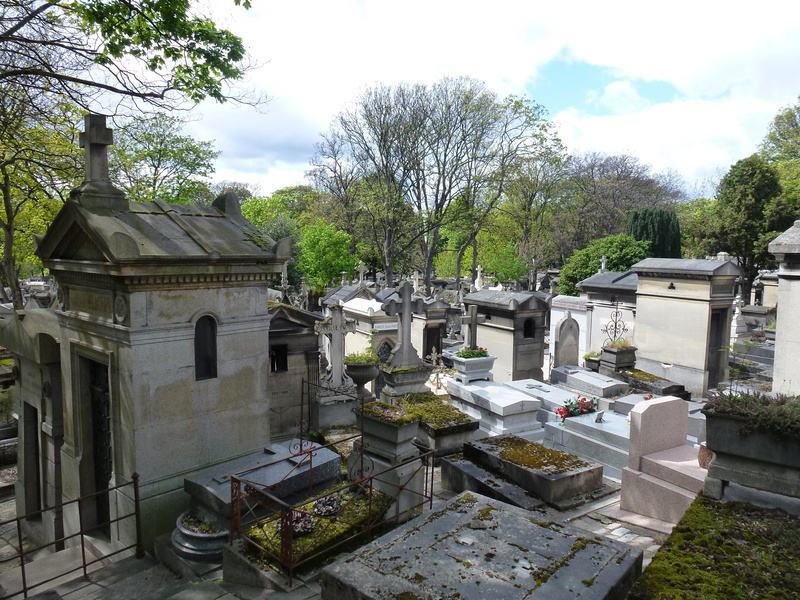 Pere Lachaise Cemetery – Think of the cemeteries you’ve been to in the US. It’s not like those at all. It’s incredibly gorgeous! Do not go to Paris without seeing it! Intricate and beautiful tombstones and mausoleums make up this cemetery as well as gigantic trees, hills, and quiet paths. There are also many famous people buried here: Jim Morrison, Oscar Wilde, Edith Piaf, Moliere, etc. It’s so gigantic there is actually a map to help you find your way around to the different graves. 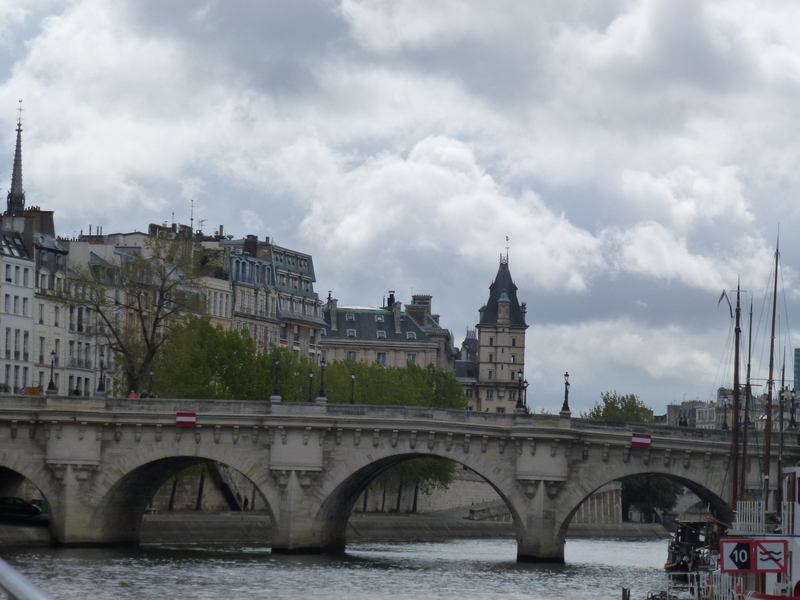 Take a cruise down the Seine – you’ll get some excellent pictures of the city and see the unique bridges from a different vantage point. Musée d’Orsay – This is an impressionist art museum located in an old train station. There are many pieces by Monet, Degas, Renoir, etc. Market at Rue Poncelet – you should definitely check out a market to get a more authentic French experience. Sample the food, do some shopping, and mingle with the locals. 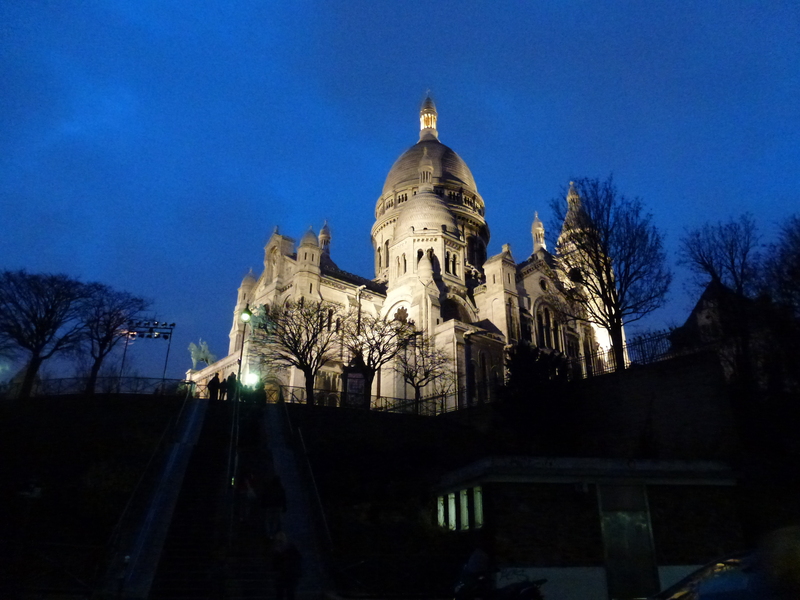 Sacre Coeur – Famous basilica in Montmartre. It’s a gorgeous church and also has an amazing view of the city. Montmartre – stroll past all the quaint winding roads and hillside apartments, visit Place du Tertre: the artist square, Moulin Rouge and the red light district, and Amélie’s Café. One of my favorite parts of the city. Le Quartier Latin – go to the Latin Quarter by la Sorbonne for cute cafés, boutiques, affordable restaurants, and an excellent night life. Do some exploring of your own! Just start walking in any direction and see what you will discover. Have a city map and metro map just in case. 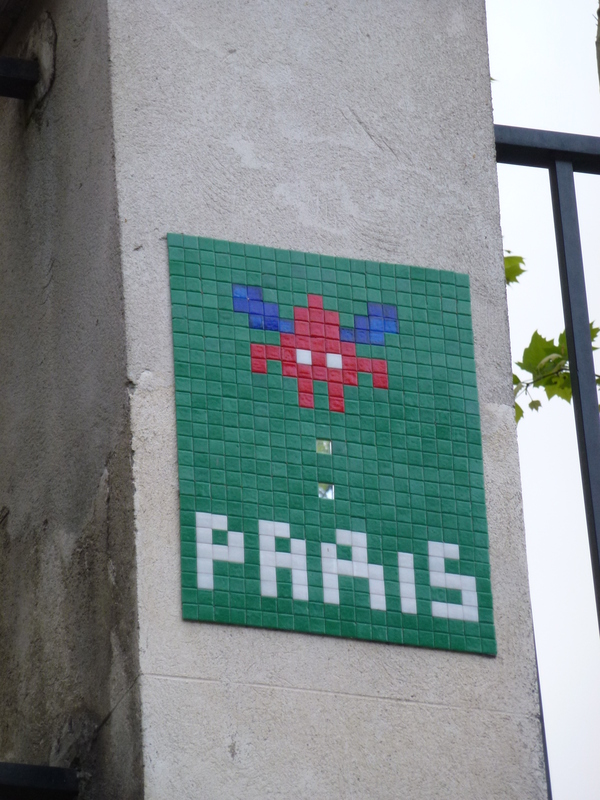 When my boyfriend and I took a trip to Paris, one of our favorite activities was strolling around, looking for space invaders. We tried to find as many as possible! There are so many more things to see and do, but if you are a tourist in Paris these are some things you definitely should not miss! 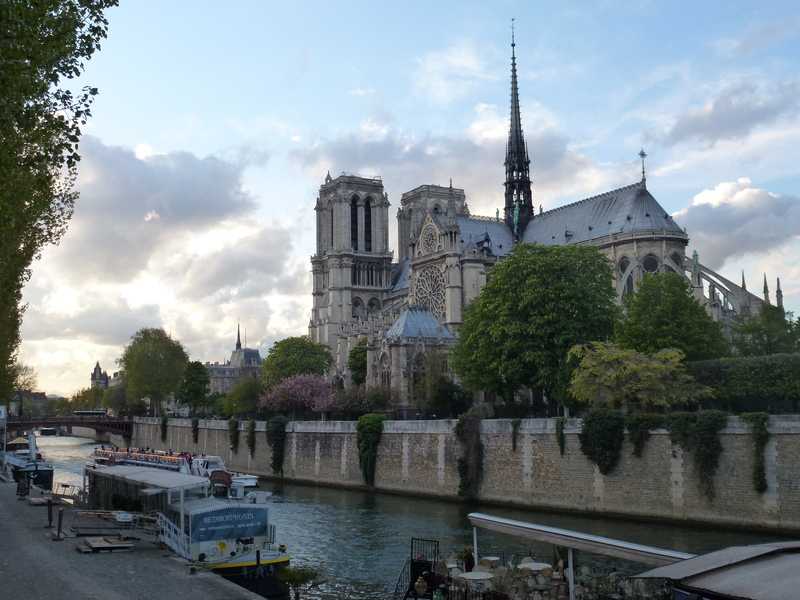 Parisians or others who have spent long periods of time in Paris may have different suggestions, but these are the places that I recommend. Feel free to add to the list! Visit a boulangerie for fresh bread, a fromagerie for some cheese to go with your bread, and a patisserie for some French pastries. Trust me – you don’t want to miss out on these French staples! Relax with some coffee at a café. Enjoy the café culture; sip on your drink slowly while enjoying good conversation, a book, or just people-watching. Try some crêpes with nutella and fries with mayo (sounds disgusting but is really good!) from a stand. Don’t dine at any restaurants located near the Eiffel Tower; they will be extremely overpriced and very touristy. Instead, look for restaurants in the Latin Quarter or Montmartre. Many of them have fixed price menus where you can get a good deal on an appetizer, main course, and dessert. Le Refuge des Fondues – located in Montmartre near the Abbesses metro station. 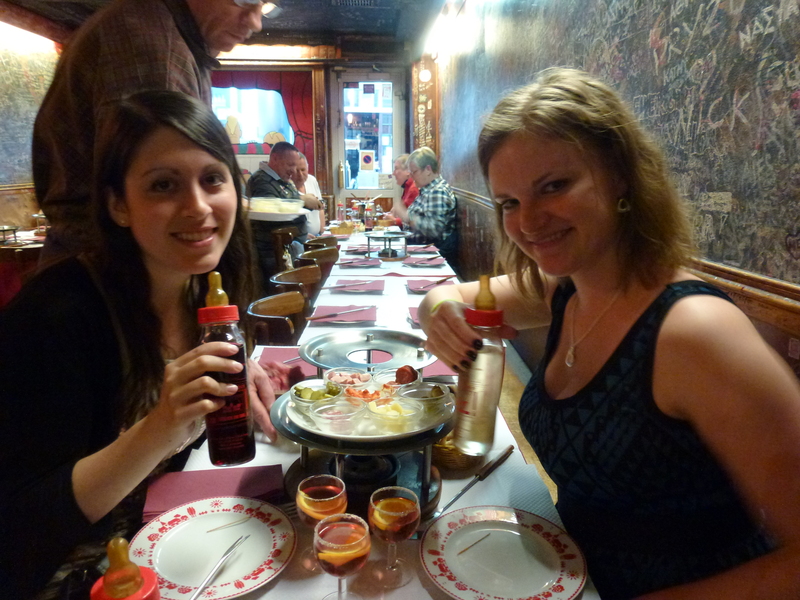 It’s a fondue restaurant that is cheap, has “family style” long tables so you can meet other travelers, and they serve wine in BABY BOTTLES. How cool is that? Pretty darn cool if you ask me. Though the food is not the best you can find in town, the atmosphere is what really makes it worth it. If you’re looking to have a good time in a unique environment, this is not to miss. Le Chat qui Pêche – located in the Latin Quarter. They have lots of traditional and regional specialties and it’s reasonably priced and very delicious. 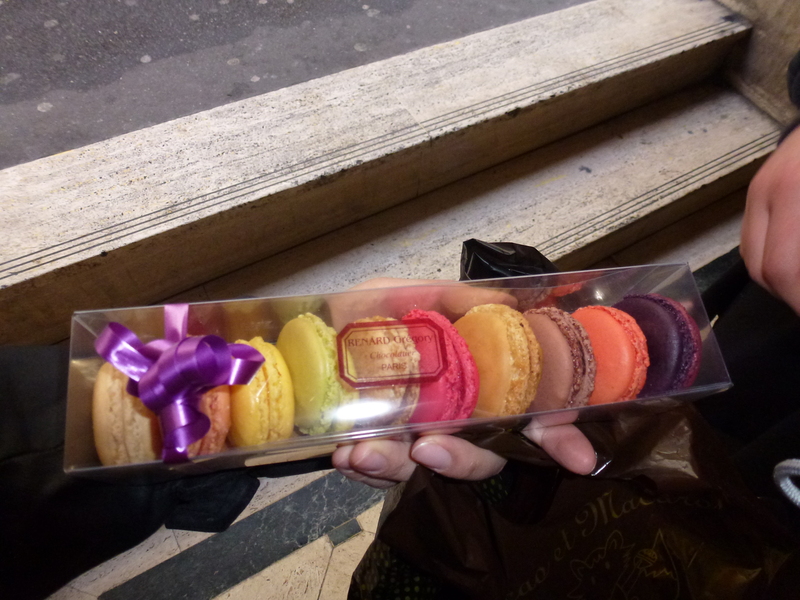 This entry was posted in Travel and tagged France, Paris, restaurants, sightseeing, tips, travel. Bookmark the permalink. I agree, it’s nice seeing the sites but sometimes not having a plan is even better! Paris has a lot to offer. The Luxembourg Gardens are great!